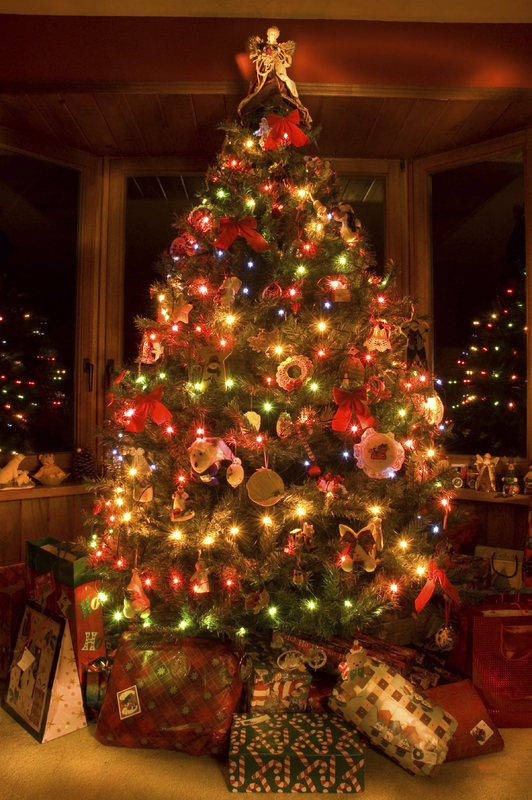 A Christmas tree is a tree that you decorate and place Christmas gifts under. It’s the best way to honor baby Jesus. Some Christmas trees are real, some Christmas trees are fake, and sometimes they are called Xmas trees. In the old days you would go out into the woods and chop down a tree. Then people started buying them at designated Christmas tree lots. Now you can just take them out of the box and assemble them in your living room in only a few minutes. You decorate them with ornaments, lights, tinsel, popcorn chains, and top it off with an angel or a star. You put presents underneath the tree and hope that the dog/cat doesn’t piss all over everything. And no matter what your Jewish friend tells you, there is no such thing as a Hanukkah tree. They get a menorah.